Check out the adult action-romance ‘The Animal Under The Fur’ by E.J. 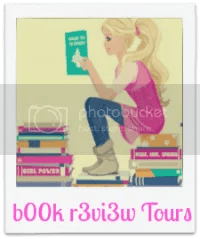 Mellow courtesy of Xpresso Book Tours – plus enter the giveaway! From award-winning author E. J. Mellow comes an action romance dripping with vengeful delight. Orphaned on the streets as a baby, Nashville Brown, a.k.a Kill Operative 3, knows better than to rely on anyone. With heightened senses and superhuman strength to survive, she’s been raised as the perfect assassin. The trick to her success? Keeping everyone, even her best friend, at arm’s length. Losing his entire family in the span of a year, Carter Smith left his ability to love buried deep in their graves. His only concerns now are completing his missions and effortlessly charming the next temptress to warm his bed. The key to his accomplishments? Working alone mixed with a Casanova smile. But when a deadly weapon needs to be stopped from falling into the wrong hands, the lone wolves find themselves thrown into an explosive partnership. Can Carter and 3 lower their guns aimed at one another long enough to succeed, or will their unwillingness to compromise end up destroying more than their perfect records? Whatever their differences, both agree on one thing—in the game of lies and deceit, the line between friend and foe is often blurred by blood splatter. The Animal Under The Fur is a hate-to-loath-to-love standalone novel filled with savagery, secrets, and enough angst to wrinkle the pages you’ll find gripped in your hands. E.J. Mellow is the award-winning author of the contemporary fantasy trilogy The Dreamland Series and The Animal Under The Fur. With a bachelor’s degree in Fine Arts, E.J. Mellow splits her time between her two loves – visual design and writing. Residing in NYC, E.J. is a member of Romance Writers of America and their Fantasy, Futuristic & Paranormal Chapter. She has no animals but loves those who do. Enter the Rafflecopter Giveaway for the chance to win a signed paperback and a $30 Amazon gift card!